we picked up a few habits. A love for basketball, for one. who were ardent Kansas University Jayhawk fans. We also picked up drinking iced tea, not sweet though. Although we left in 1994, occasionally a y’all will slip out now and then. although the first time I saw I thought it looked like a tennis ball. it’s NOT as light as a tennis ball. You don’t catch a fish, you catch a big ol’ fish. Nobody has a large dog, they have a big ol’ dawg. and seeing my first Big Leaf Maple. When the leaves began to fall, I felt like I had to duck. Some are bigger than a dinner plate. 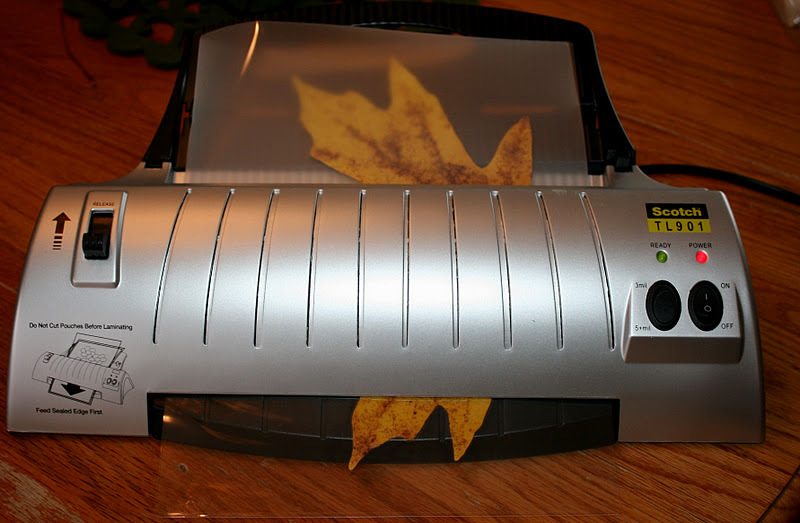 big ol’ Maple leaves to decorate. We had to go for a walk. one sunny fall day in the beautiful PNW. hanging gracefully over her arm when we go on nature walks. to ever live a normal life again. 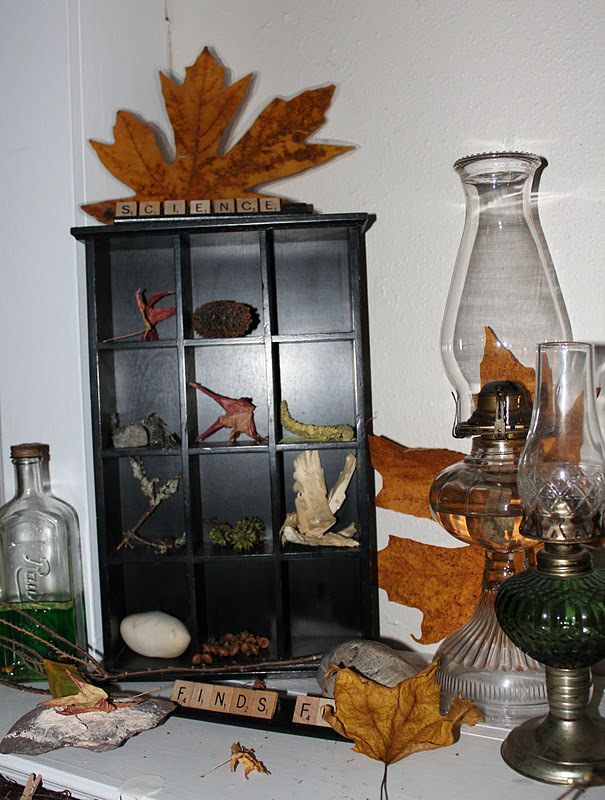 When we came home, we tucked our finds into our flower press. 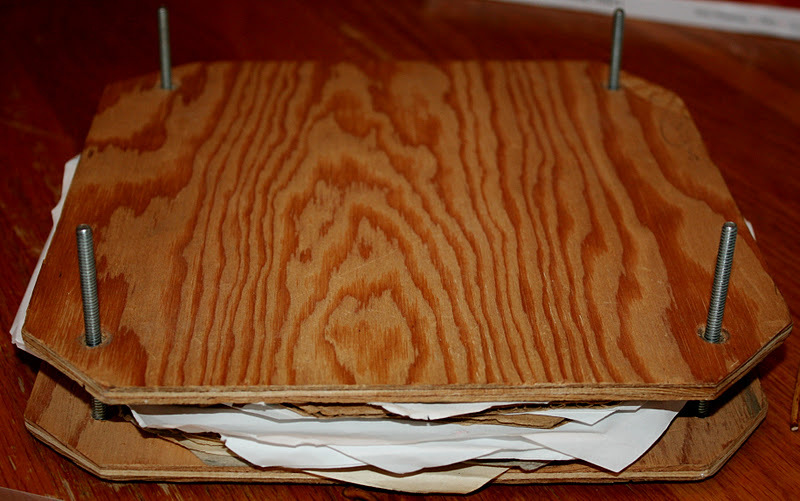 My oldest daughter, Jana, made this at Bible camp years ago. A few days later, they were dry. 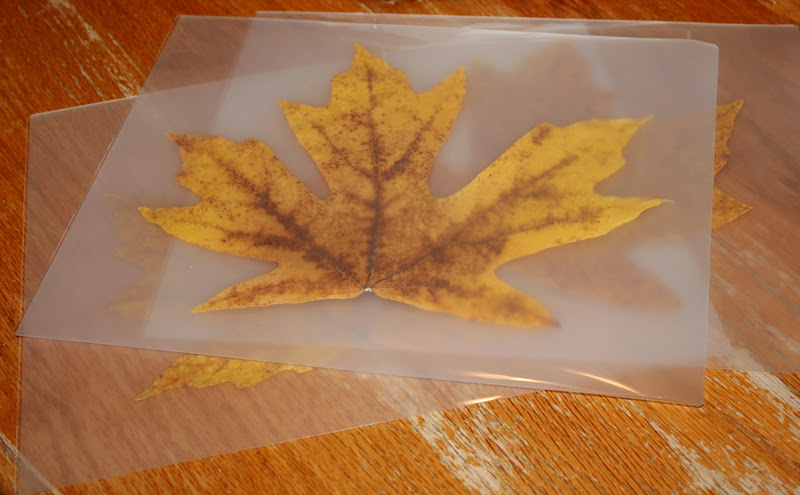 I had to choose smaller BLM leaves to fit in the laminating pouches. to add some texture and interest to the display. these are just the punks that could fit in my laminator. biggest big ol’ BLM leaves! big ol’ Big Leaf Maple leaves. she’ll send me a box of hedge apples. then let them air dry. 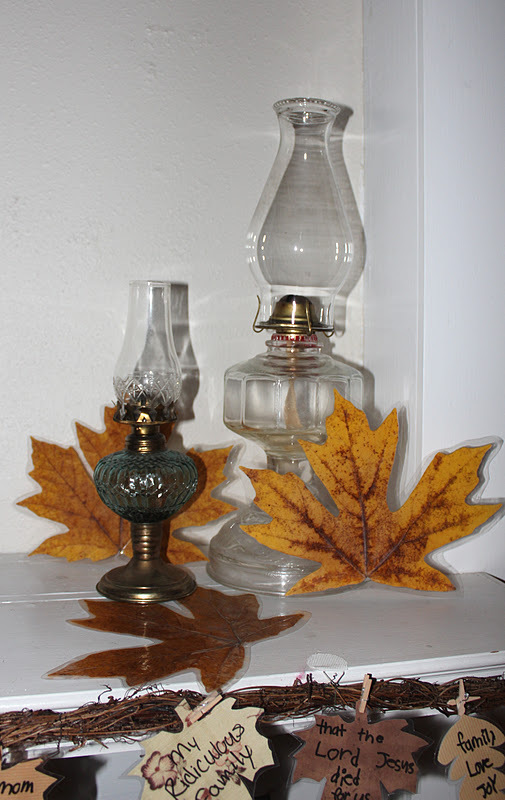 The best part about decorating with leaves? 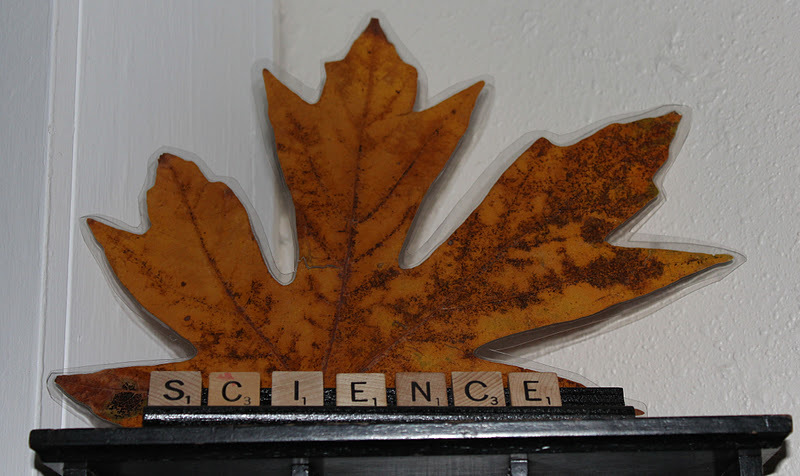 This entry was posted in Big Leaf Maple, decorating for Fall, Laurie, science shelf on November 9, 2011 by Mindy. Oh MM, you would probably not be able to stop yourself from laughing if you heard me talk…especially when I am tired. My drawl gets thicker and thicker. I learned to speak in NC….just sayin' 😉 I love the leaves. They look fantastic.